Union Minister Ramdas Athawale made some interesting comments on Special Status demand & Regional Parties during his Vijayawada visit. He told Centre is committed to handhold Andhra Pradesh in every possible manner. At the same time, He made it clear Special Category Status can't be accorded for AP as similar demands will be placed by several other states. 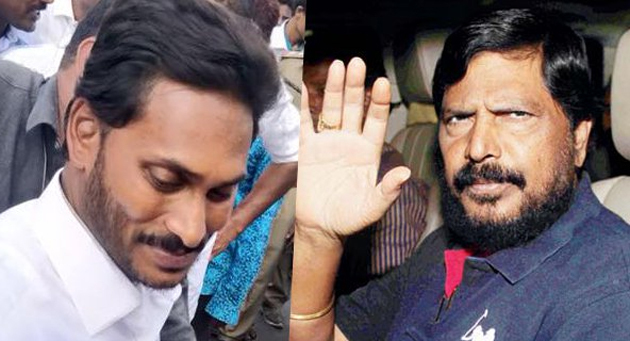 Ramdas Athawale expressed the feeling that Telugu Desam shouldn't have quit NDA Government. He asked the TDP Leadership to reconsider it's decision and come back into NDA again. Interestingly, Mr.Athawale invited YS Jaganmohan Reddy to join NDA while saying YSR Congress Party is a strong force in Andhra Pradesh. Jagan has already made it clear he is ready to join hands with any National Party which grants Special Status. So, Ramdas Athawale need to convince BJP Leadership to grant Special Status for strengthening NDA with the support of YCP Chief.